E-MU to release Emulator X3 "in a couple of weeks"
Emulator X3 should be with us before the end of 2008. 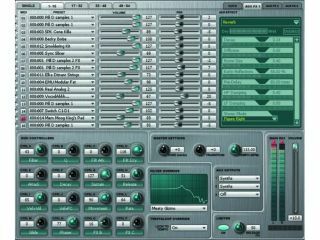 E-MU's Emulator X3 sampler is one of 2008's lost products. Launched at the Frankfurt Musikmesse, we were originally told that it would be available in March, but since then, we've seen and heard nothing. However, word now reaches us that the release of the software is now imminent. Emulator X3 is in beta and should be shipping within weeks. This new version of E-MU's soft sampler will be available in 32- and 64-bit versions and is a 24-bit/192kHz affair. There's now multi-core support, while the Region Xplode Beat Slicer enables you to extract MIDI files from drum parts. The Tempo Map Export tool, meanwhile, should let you sync a rhythm track to a song with a variable tempo. Other new features include the Xtractor - for cutting or boosting levels in a mix - and the Translator Convertor. This enables you to make other sample libraries Emulator X3-compatible. Speaking of libraries, the software ships with a 3.3GB sound bank. Emulator X3 is PC-only and costs $500/€500/£350. Unlike previous versions, you don't have to have a piece of E-MU hardware plugged in in order to run it. There's more on the E-MU website.